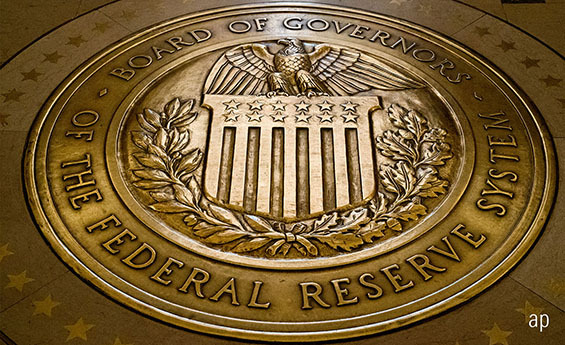 The US Federal Reserve confirmed its monetary policy direction has taken an about turn this week, as it announced it has kept rates within the 2.25-2.5% range. But, despite markets having priced in fewer rate rises – none have been priced in for 2019 since last month’s statement – the overall tone of Wednesday’s announcement still surprised markets, according to Anna Stupnytska, global economist at Fidelity. At the Federal Open Market Committee’s final meeting of 2018, it suggested rate hikes would be less aggressive through 2019 and 2020. This week, it became more flexible. Rather than “further gradual increases”, Jerome Powell talked about “future adjustments”, suggesting the next move could, in fact, be downwards. But experts are still split on the Fed’s direction. Stupnytska thinks Powell could well become a hawk again later on this year, considering the decent economic picture in the States. Candice Bangsund, vice president at Fiera Capital, agrees and expects a pause through the first six months of 2019, before two hikes at the back end of the year. But some are convinced the dovish sentiment will continue. Nick Maroustos, co-head of global bonds at Janus Henderson Investors, thinks the Fed is done hiking – “not for 2019, but for good”. There are a few reasons for this more dovish stance, beginning at home. There may be many who think the US economy and consumer remains robust, but we’re clearly seeing a slowdown. Meanwhile, inflation is non-existent, geopolitical risk is at an all-time high and Washington is in gridlock. “The stagnating economy and geopolitical risk keep a cloud over growth prospects,” continues Maroustos. But there seems to be a growing acceptance that global economic conditions must, too, play a role in the Fed’s policy. It hiked four times in 2018, leading to a strong US dollar. This has had negative impacts on many other, particularly emerging, markets. This is due to the higher borrowing costs they will incur on their reserves of US-dollar-denominated debt, raising the possibility of defaults. Trade tensions between the US and China do not help, either. Clearly, a deterioration in the global economy would not be positive for the US. While the Fed’s assessment of economic conditions did not alter – “solid” growth and a “strong” jobs market – it did change its assessment of the risks to that significantly. “Powell emphasised several cross-currents that suggest a less favourable outlook,” notes Stupnytska. You can add Chinese stimulus wearing off, higher oil prices through most of 2018, Italian fears, natural disasters and issues in the European auto sector into the mix, too, notes Melanie Baker, chief economist at Royal London Asset Management. Indeed, while the slowdown has been broad-based and economic indicators dropped off sharply from their 2017 peaks, the only major manufacturing purchasing managers’ index that has slipped into contraction territory is China’s. In fact, many of the fears Baker mentioned that threatened markets have either been temporary in their impact, such as natural disasters, or have faded. For example, oil price has fallen back significantly, and the US Government has re-opened. After 2017 saw global synchronised growth, 2018 saw the US diverge with the rest of the world. While economic growth Stateside took off, elsewhere either stagnated or fell off. That trend was mirrored in both stock prices and earnings growth. Many expect convergence over the coming 12 months and have been busy considering whether it’s the US that softens or the rest of the world that surges. Sonja Laud, deputy chief investment officer at Legal & General Investment Management, thinks – and the final quarter of 2018 suggests she’s correct – it will be the former. “With the failing fiscal stimulus in the US, we believe it will be the US approaching the rest of the world. That implies we are past the peak for global growth,” she explains. In fact, Laud claims company earnings are heading for a recession, with the US leading the pack having seen 12-month forward consensus earnings per share growth estimates drop 9.9% peak to trough. Commentators have been arguing over the possibility of a US economic – or financial – recession for a year or more now. Seemingly, the likelihood of one this year has receded in that time, with few now seeing imminent warning signs. There are some worries cropping up, though, that suggest it might not be too far away. Laud picks over the make-up of the US investment grade corporate bond universe as troubling. More than 50% of this universe is now made up of BBB-rated – the lowest rating an investment grade bond can attain. This suggests issuance is at its lowest quality for more than 25 years. But the probability it comes this year is low, as ever since the 1970s, real interest rates have had to be around or above 2% before a recession hits. We’re far from that point – just above zero – today. The oil price, too, tends to be a telling signal. When oil prices spike sharply, consumers need to spend more of their disposable income on gasoline so have less to spend in the wider economy. Oil price shocks in 1973, 1979 and 1980 presaged recessions within the year. A slowing housing market also tends to be a good leading indicator and that looks to be the big worry, and “further rate rises could be quite damaging” here. However, a pause in hikes will prolong that.